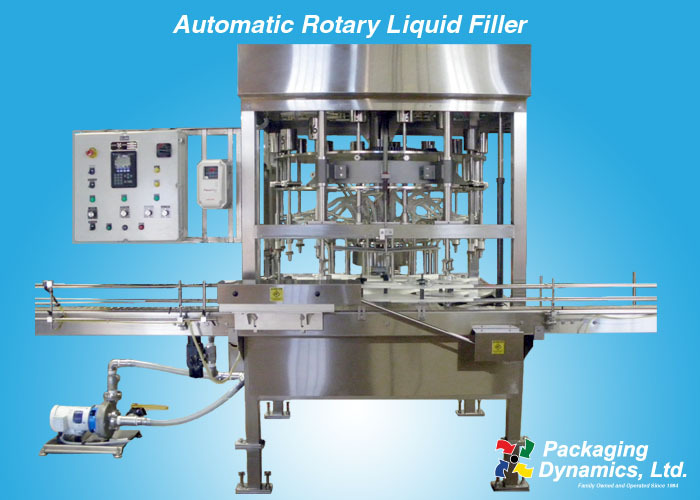 Automatic Rotary Liquid Filler - Packaging Dynamics, Ltd. 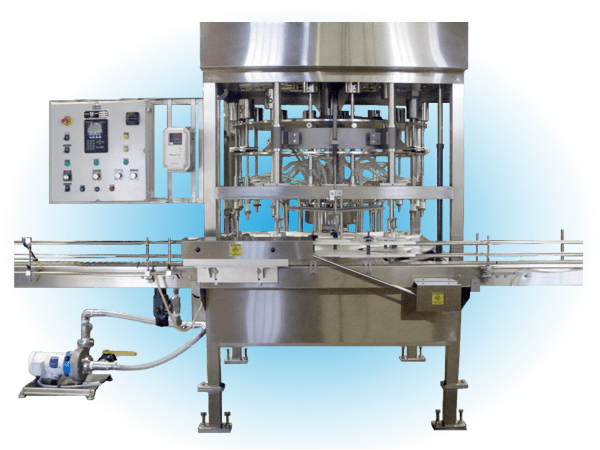 The Packaging Dynamics, Ltd. fully automatic rotary filler has been engineered to accommodate higher production speed, achieving rates as high as 250 containers per minute. Containers range 2 oz to as large as 1 1/2 gallons depending on machine frame size, container size and products. The Packaging Dynamics, Ltd. Rotary Filler can easily be integrated with existing sorting and capping machinery, featuring mechanical safety inter-locking devices . A completely new re-designed drive system allows the machine to run at higher speed requirements while maintaining a smooth and quiet operation. Standard equipment includes a variable speed 12 foot conveyor system, centrifugal product pump and stainless steel tank. The control package contains a Nema 4 enclosure, Allen Bradley PLC panelview operator interface and components designed for 230v AC operation that can be washed down easily after each production run. Easy change over and cam adjustments help provide for a minimum of down time.